Break out the bubbly and let’s look ahead to a jam-packed 2018! Is Infinity War the be-all-end-all of superhero flicks and shows this year? Or is there a sleeper that will take the crown as THE hit of 2018. 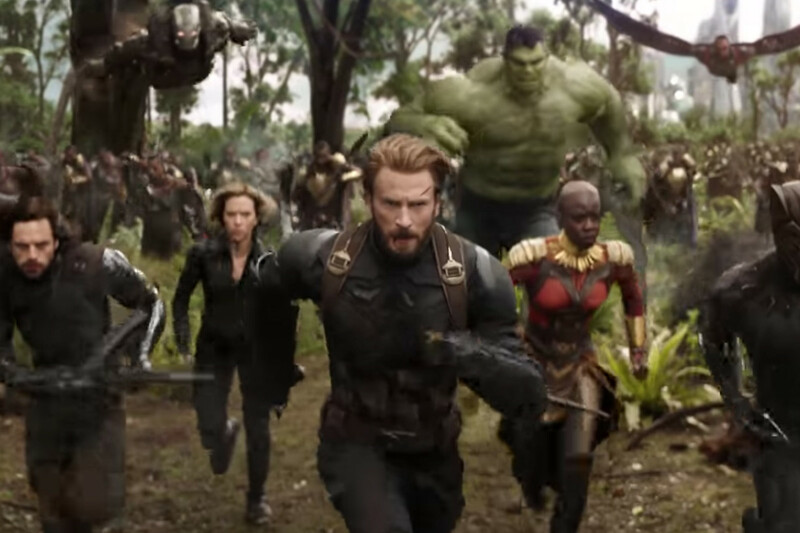 AMNY Senior Entertainment Editor Scott Rosenberg helps us break down all the contenders this year: Infinity War, Deadpool 2, Black Panther, Solo: A Star Wars Movie, New Mutants, Ant-Man and the Wasp, Aquaman, Venom, Dark Phoenix and more! Netflix teased the annocement with a video of orcs auditioning for the sequel. The characters have been a significant component of the film’s promotions. ‘It’s ruining viewing habits’: Jodie Foster slams superhero movies as cinematic equivalent of fracking uperheroes may have met their greatest adversary — Jodie Foster. The 55-year-old has claimed Comic book movies are ruining cinema. In an interview with Radio Times Magazine, the actor and director slammed the likes of Marvel and DC production as the cinematic equivalent of fracking. ‘Going to the movies has become like a theme park,’ she said. NEXT WEEK: We welcome Just 2 Pal’s Podcast host Johnny Wellens to debate the future of the Star Wars universe in 2018!